A warm welcome awaits you at Luce Bay Luxury Self Catering. 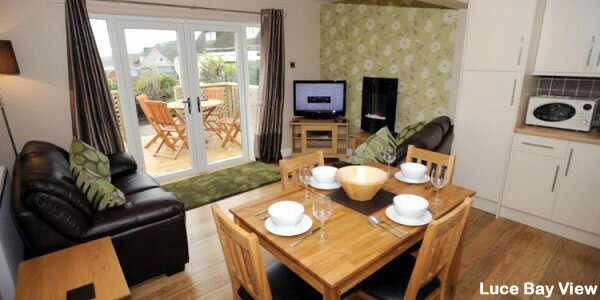 Our stylish and modern self catering properties are located in the heart of south-west Scotland. 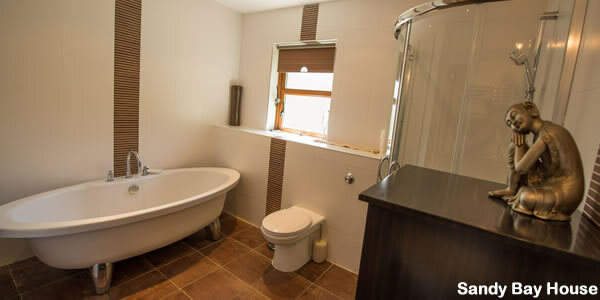 Designed with every convenience of the 21st century in mind, both our properties have recently been fully refurbished. The rooms are bright and comfortable and both benefit from ellavated sea views of Luce Bay. The property is located minutes away from miles of unspoilt, sandy beach in the tranquil coastal village of Sandhead. The area is renowned for the surrounding, unspoilt countryside. The bustling ferry town of Stranraer lies approximately ten miles away. The properties also serve as an ideal base for exploring the cities of Glasgow and Edinburgh, only a few hours drive away. The property is owned and managed by the Fisher family, who also own the Tigh Na Mara Hotel, a short walk away. A warm welcome awaits, whether you are popping in for a light bite at lunch, sampling our delicious dinner menu or enjoying a “ wee dram” in our friendly, public bar. Take some time out from the every day stresses of modern life, without breaking the budget. 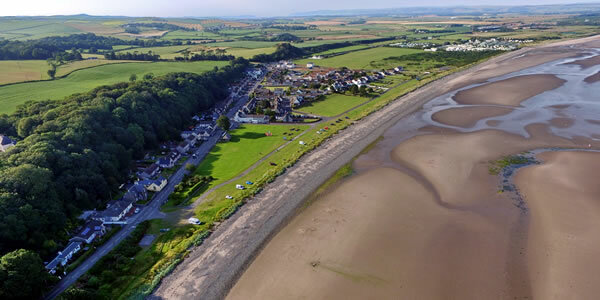 Book a short break to Luce Bay Luxury self catering accommodation - a friendly, family run business offering a home away from home. Sandy Bay House is located within the grounds of the hotel and has a large living room which is located on the first floor of the property with spectaular sea views. 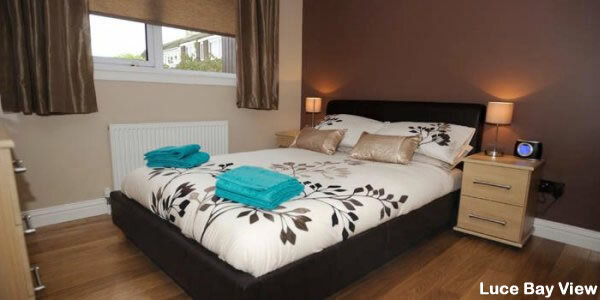 Sleeps 4 (Super King Size Ensuite & Twin Room with Family Bathroom) a Z bed can be added for toddler or young child. 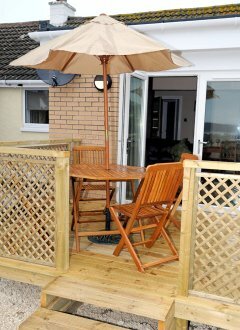 Luce Bay View is available for weekly lets, starting on Mondays or Fridays, however shorter breaks are also available. We can offer 4 night midweek breaks starting on a Monday and also 3 night weekend breaks starting on a Friday. Please check Availability for further details and tariffs. 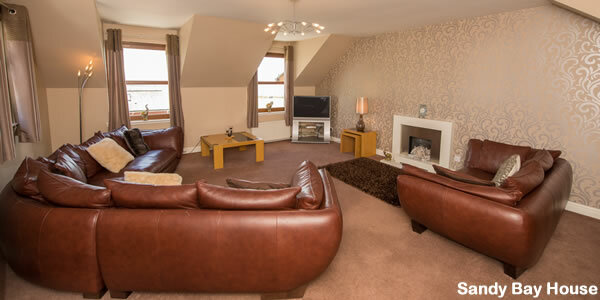 Sandy Bay House is available for weekly lets only, our check in day is Saturday. Our properties are strictly non smoking. 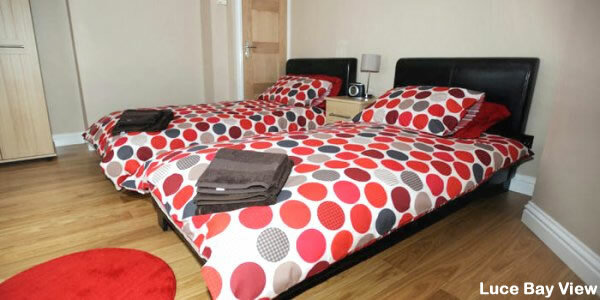 The properties are fully double glazed and centrally heated throughout. There are no additional costs for electric added on to the rental price. All bed linens and towels are provided free of charge. Dishwaher tablets are not provided and can be purchased from the local shop. Luce Bay View has ample free roadside parking with no through traffic, there is ample space for upto two cars. Sandy Bay House is located within the grounds of the hotel and has off road parking which can be limited due to high volume of restaurant and hotel guests, however there is ample free roadside parking in front of the property.